High performance LTE network emulator used for testing the RF, baseband and protocol layers of wireless devices supporting multiple Radio Access Technologies. 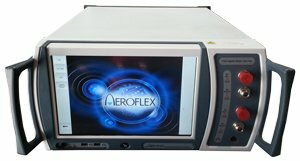 The Aeroflex 7100 Digital Radio Test Set provides all the tools required during the design, development and test stages of UE chipsets and terminals meeting 3GPP Rel-8 and Rel-9 standards. The 7100 Digital Radio Test Set is used by RF developers, protocol stack teams, integration test groups and pre-conformance labs that are developing sub-systems and integrated designs that meet the requirements of the LTE standards. These teams benefit from the ease of use, comprehensive test capability, speed and low cost of ownership offered by the 7100. The 7100 also supports a Service Test Mode customized for the service market, allowing field-returned devices to be rapidly screened prior to return to vendor or return to the end user. 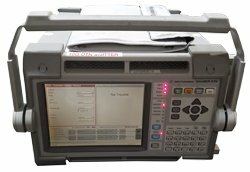 In Service Test Mode the 7100 is used with Lector software.